For years, I have prayed Isaiah 61 over my family, asking the Lord to give beauty for ashes, asking Him to indeed grow these daughters of mine into oaks of righteousness, a planting for the display of His splendor. I have cried tears straight into the words “freedom for captives” as I begged this promise for a certain few of my little ladies specifically. I have rested in the promise of the oil of joy instead of mourning and I have rejoiced with the prophet Isaiah as each one has come to her own understanding that He has clothed her with garments of salvation and a robe of righteousness. My eyes stuck right there on Isaiah 61 praying in hope those words of verse 11, that the Lord would cause righteousness and praise to spring up before all nations. Only on Saturday morning, the morning after I married the very most Christ-like man I have ever met, did my eyes wander down past verse 11, down the page to Isaiah, Chapter 62. As if, now that I was beginning this new chapter of life, maybe God would give me a new chapter to pray over my family. My breath caught in my throat as I read these words that I somehow had never read before. Right there on the thin, gilded page, was his heart for me, for Benji, for each of my girls, for our family – that we would know His delight in us, the way He rejoices over us. The last two years have been a different season. A season of quiet, of dark and sadness, of joys that felt too personal to share with anyone other than my Heavenly Father. I have tried to write many times, but I have been learning the beauty of the secret place, just Him and me. The Lord who knows my heart has been whispering to me of a new season for a long time, and my flesh has worried that this new season might take me out of my secret hiding place with Him, that somehow a physical, tangible relationship with another might take away from my relationship with my Builder, My Lover, My Life-Giver. Little did I know that this new relationship would only enhance the other. I became Mrs. Majors on January 2nd of this year. Benji is a discipler of men and a faithful maker of breakfast. Long before we shared a home we shared a hometown with only a few hilltops to keep our adolescent lives from ever intersecting. As the Lord would have it, we would only meet on the other side of an ocean after He had captured our hearts with a love for the Ugandan people and a desire for The Word to go forth in this place. At first I was hesitant, but while Benji was patient, God was faithfully working on my heart. I watched him teach Bible studies and disciple men and fix my kids’ bikes. We laughed over coffee and all the crazy things that are life here. He taught me more and more about the love of Jesus, in his words, and in his example. He captured my heart. And on the night he washed my feet and asked me to be his forever, the yes jumped off my lips as if it had always been waiting there just for him. I imagined marriage would be good. Wonderful even. But I did not even begin to understand that it would be this holy. I didn’t know that I would melt under this man’s gaze that is so full of the love of the Father for me. I didn’t imagine the way his delight in me would be my daily reminder of the way my Father delights in me. My husband’s love is just another way God has chosen to pour our His extravagant love on me, another constant reminder that He rejoices over me, and over each one of our daughters. God gives good gifts. His delight is in me, in us, in them. May our delight be evermore in Him. So happy for you Katie! Praying for you and Benji as you start this new chapter in your life!! Praise God! He is so good! Yay!!! Congratulations to you and your family! I am rejoicing with you on God's wonderful blessings! What a beautiful love story. Congrats to your husband and best wishes to you. Bless you and your whole family. Wow, what a family! Katie, We have followed along for some time, we have laughed and cried and prayed oh how we have prayed. There are just not adequate words to express just how happy we are for you and your husband. God is a giver of good gifts. The picture of the two of you smiling at each other is so wonderful and has so captured your great joy in each other. We pray for a beautiful, long, joy filled marriage! Blessings to your whole family!! Congrats to this new family :D I'm deeply encouraged by your post of a new chapter in Isaiah 62. Excited to read on to what the next year brings! Absolutely beautiful! I have been wondering why the posts have been so few and far between, but it all makes sense now, and its all so incredible. I love that prayer and I love your wisdom, and I love that you have a partner to share your life with. It is all just absolutely beautiful. I was delighted to see a post by you, your writing stirs echoes of heaven in my heart...I was even more delighted to see God's hand at work in your love and your heart and pray blessings on your new life together...so many congratulations. Congrats and God Bless you and your marriage and your family. What a beautiful example you are. I just had a feeling that God had one of His son's on his way to you! He is just that kind of God! What an awesome example of the awesome life God has for us if we are bold and faithful to do His will. Truly your love story with Jesus and your Benji would be a great novel to read to my daughter when she becomes a teenager! Something to think about... ;) in your spare time... lol... Love, Your friend you haven't met and sister in Christ, Katie J. So happy for you! We just ordered a few copies of your book to share with other young women interested in going to the mission field because your posture of surrender to God is so beautiful and your story is so inspiring. May the Lord bless you and continue to produce MUCH FRUIT through your lives! Congratulations and praise the Lord for this union. :) You and your family will be in my prayer list as you start the new phase of your journey. Keep being the tool that brings glory to our heavenly Father and blessing to others...! wow. congratulations! May God bless your family abundantly! Thank you both--and all praise to God-- for such a beautiful, precious example. Congratulations! May God bless your union richly. Congratulations to you and your dear family! I am so very happy for you. May you continue to feel God's love and blessings each day of your new life together. Beautiful! Thanks for sharing your story. Your comment on marriage being holy is right on. I too have a husband who has made marriage better than I ever had dreamt (and we have been married 12 yrs). You look radiant, my dear Katie. His love shows ever clearer through you and your mission. Peace be upon you all. I read your book years ago, and it forever changed me and the way I want to live for Christ. We don't know each other at all, but am just overwhelmed with happiness for you! What a beautiful story... Beautiful bride... Beautiful reflection of Christ. All of you are blessed. Congratulations! Congratulations!!! May you be surrounded by the love you always felt on your wedding day. May HE ever bless you both! Congratulations on your marriage! I greatly enjoyed your book and your blog posts! What a blessing you are and a inspiration! I have 7 children and have asked all my teens to read your book. Bless you and your family! You are such an inspiration to me. Ughhh as I am sitting here reading I am just crying. I learned the meaning on Hephzibah just yesterday and it is so crazy that I am reading it today. I am so happy that you got married. I read your book last year and It gave such an impact on my life. Ever since I read it, I don't know why, but I prayed for God to send you companionship in husband. I, being such a needy person towards my own husband, kept thinking throughout the books entirety, how incredibly strong Katie must be to have accomplished this without an earthly love to reflect with at the end of each day. I wanted for you what I (almost) counldn't live without. I can't wait for a sequel to your book. Much love and Prayer. Thank God for answered prayers. This brought me to tears! Praise God, the Giver of all good gifts. You are (both!) such a testimony of how the delights of this world should draw us only closer to Him. I pray God will richly bless your sweet family. I hope you'll continue to share glimpses of your life. They are a treasure trove of faithfulness & are such a blessing! Reading your book Kisses from Katie now. What a blessing! I am loving knowing more about you. Congratulations on your marriage. May God use you together for His glory! God Bless you both! Gods timing is always best. I'm so happy for you!! In His time He has given a wonderful gift to you-- and you will be the best of gifts to your new husband. Congratulations!! So beautiful, thank you for sharing. I have said yes to God more times in the last 9 months than ever before and he has done might works in my heart. Using you as an inspiration to me, I am truly grateful. your book will be one of the first that I my children will read so they can see what true love is all about. Praying for you always. Katie. I read your book a few years ago and have admired your love for the Lord and the way you radiate His joy. You are such an inspiration and encouragement to me. I prayed that the Lord would provide a husband for you. Little did I know, he was already preparing you to marry this man. Praise His name. I am overjoyed for you and your family. And all I can do is praise God! I know you desired to be married and He has answered your prayers! Thank you for the way you spread the love of God to others and encourage us to follow Him and trust Him through all things. May God continue to bless you richly. My most sincere, heartfelt congratulations to you Katie and Benji! You are an inspiration and a blessing to the whole world! Praise the Lord! I am 31, "single, satisfied, and sent" to Southeast Asia to teach and share the gospel with young people in an unreached area. And while I cannot imagine marriage making this journey any better, I rejoice in how personal the Lord is in His orchestration in our little lives. Truly, He is a GOOD Father. May His Name be as or more glorified in your union as it has been in your singlehood. Love you, my sister. How sweet! God is ever faithful. Thank you for sharing. Beautiful! What a blessing to read this. The truth of marriage and the Gospel is revealed in your story. Praise be to God from me, Muriel Smythe, Lisa Smythe's mother-in-law!!!! Katie- Thank you for sharing your story...and the wonderful love God has given you....Blessings to you both! God's blessing on your new family! A BIG congratulations to you, Sweet Girl! You are an inspiration to all...may you always feel the Father's love through your Sweet Husband. Be BLESSED! Your a gifted writer Katie,your post are always so inspiring. I almost cried when I read on facebook you were married. May God bless your marriage, your kids and your ministry. God is so good. Congratulations a million times over. God is good. Congratulations Katie. Since reading your book, I read your blogs & love how God shines in them....He is good, as you know. You look beautiful as does your groom look handsome ~ so look forward to reading about your "new journey" in Uganda with your children & your man. May the Lord continue to guide, lead, bless & encourage you in all things. this is so beautiful. I had hoped God would provide a man who shared your love for God and the girls. I am so happy that you found a Godly man to walk with! I just finished your book today and after sending our 2 foster children back with their family yesterday, I was really encouraged by your strength and faith. Reading your book has helped me realize that God wants us, he wants to use us- and that is a huge privilege ... We just need to stay out of his way. Thank you for all that you do, and to God be the glory! Wow. What a beautiful story of God's faithfulness in your life! I am so happy for this new chapter in your life and that God brought you a new gift to treasure and share with in your husband. May He keep on guiding you both in wisdom, peace, and strength as you continue to your children and all of those around you! Beautiful! Your post was a lovely reminder that He walks with us through the dark and lonely places that lead to peaceful streams and on to a new place of abundance where we arrive refreshed and renewed. Praying years of wedded bliss for the two of you as you keep company with Him, side by side! So lovely. I'm so thankful for the love of Jesus through your words. Beautiful. The two of you in the photos too, but God's story that you are a part of, that is even more beautiful. Thank you for sharing and I for one will be praying for this amazing part of your journey. Congratulations Katie. I am truly in awe of what you do and reading your book has helped me understand more, the Love of God. What a beautiful union for you. Marriage can be wonderful, tough, touching and so many more things. I know God's light will continue to shine on you, your new husband and your children. God bless! the Word. How blessed you are because of your faithfulness, and what an inspiration to me, and to many others. I've been waiting and hoping you'd write something about your wedding. Beautifully written and so happy for you. Your face in these pictures speak volumes as to your joy! That is wonderful, wonderful news. Thanks for sharing. We are so inspired by your walk with Jesus! Wish you and your family all the best! I am so glad you put an update here. I think of you a lot. And as I have a similar story about how God put two people together, I will just say to you that after 27+ years...it only becomes better. Better in different ways because you go together through shadows sometimes and the brightness shines brighter because of the shadows. God Bless you and your whole family. Congratulations! May God shower you and your family with His love and blessings. Congratulations! Isn't God so, so good? You make a beautiful couple. Oh this brought tears of joy to my eyes. What marvelous wonderful news. I am so happy for you. Wishing you and Benji and your daughters a life filled with love and grace. Thank you for sharing this. What a beautiful story of God's love. And your dress is gorgeous. Praying for many years of happiness for you and your husband. Thank you for what you're doing. You are such an inspiration. God bless you Katie... and as you walk HIS way, you will always find the strengh and the certanty to say once again: thank you Lord! Katie, I'm so happy for you and your family! God bless this new chapter with great delight in Him. that's so exiting! so happy for you and your sweet family! Our God is a good and faithful God. I'm so happy for you and Benji! Congratulations! Enjoyed reading more about him, too. Thanks! Beautiful, Katie! I love seeing Christ in my everyday! And recently He has begun to open my eyes more and more to His presence...in my marriage, in my children (and the amazing privilege it is to be mommy), in my fellowship with others, in my prayers. I am so excited that you and your girls get to see Him in this wonderful new way! My heart leaps with you!! Congratulations!! God is the giver of the very best gifts, and the gift of marriage is such a blessing and a wonderful depiction of His love for us. I am so happy for you! May the Lord bless your entire family as you serve Him together. Congratulations!!!! So beautiful-- your words, the Father's heart...all sweet grace! This is absolutely beautiful. Thank you for sharing with us! Congratulations dear Katie to you and your new husband! Indeed, God has blessed you and I wish you all many years of happiness! Thank you so much for your posts! I needed to read them today. I know God is using what you wrote to speak to my heart and I'm sure the hearts of so many others! Your journey has been truly inspiring! God bless you Katie! That is beautiful. Thank you for speaking your heart. What a lovely testimony. May God bless this new walk, and God bless your husband, girls, and ministry. How beautiful! What a lovely story. Thank you for sharing your heart. Also, really enjoyed your book and how you opened yourself in it. May God bless you, your husband, your girls, and your ministry. Praise God for sending you a soulmate to love you and your children. I understand your passion because I have it as well,only for Kenya. Please continue to let God guide you and your family! You are an amazing testimony! Great story!! God gave me the scripts from Isaiah 62 exact the same scripts you wrote here,I asked God if want me be married or stay single, for three times I asked the same question in my pray, God will give the same script. I don't know what really meaning of those script, I haven't seen the ways yet, if this answer means "Yes" from God. But, I am happy to read your happy story, God always bless you and your marriage. Oh how precious of our Lord! Enjoy your life.....together! God is such a giver of good GIFTS! I just finished reading your book, "Kisses from Katie." I liked it very much. You write with such honesty. Thank you for living as Christ commands. God bless your marriage. Oh Katie. I have prayed with you and for you for many years now and I am rejoicing in His good gift to you and your daughters....and in God's good and precious gift to Benji. Thank you for allowing us to see and delight in His faithfulness once again. Congratulations!! So happy for you!! This just made my day. Love, love. Best wishes in everything. May God bless you and your family beyond all comprehension! Oh Katie... So unbelievably happy for you. Rejoicing with you because God fulfills his promises. Thank you for sharing your story with us! Thank you for sharing!!! Your life greatly encourages me!!!! God bless your marriage & the journey ahead!!!! Congratulations! You look radiant and so very lovely! I hope the best for you and your children!! I am thinking of Matthew 6:33..."But seek first the kingdom of God and His righteousness, and all these things will be added to you." Congratulations Katie! I wish you much joy and love in Christ Jesus together in your marriage. What an inspiration you have been...not so much by what you have done...but by how greatly Our Lord has been magnified through you. Keep on doing what you are doing...seeking Him first...and I just know more and more will be added unto you. Our God is just waiting for those who are willing and available to say "Yes, Lord. ", "No matter what, Yes Lord." There is no fear in His perfect love. Thank you for being brave enough and obedient enough to say "Yes, Lord." Thank you for being a beautiful example of what it looks like to be the hands and feet of Jesus....for showing me what it looks like to enter a dark, scary, place.. and then for Jesus to show up...for His light to make ALL the difference...to see beauty for ashes. Praying God's greatest on your family as you continue to seek first the kingdom of God. What a joy to begin to touch the shoreless ocean of His Love for us. And the moment we do, we simply come undone as it crashes over us and into us and through us. So glad for you Mrs. Katie. Time to feast and celebrate. Be well. Beautiful! You've been such an inspiration to me and so many. Hugs from this side of the ocean. Thank you for sharing your joy - we rejoice with you over God's many blessings in this new season of your life. Blessings! So beautiful, may God continue to bless your marriage. Katie, you made a gorgeous bride in every way!!!!!! So deserving...So happy for you! Katie, you make a beautiful bride in every way! So happy for you!!! Congratulations Katie. I'm so happy for you - that God gave you and your girls a man that can lead your household and cherish you as the gifts you are. I love reading your stories as you have time to write them. You are an inspiration and the true hands & feet of Jesus. Many blessings to you. Blessings. You are a beautiful couple. Congratulations! God will watch over both of you and give you "all you ask and imagine"
Beautiful words! And beautiful couple! "But seek ye first the kingdom of God, and his righteousness; and all these things shall be added." Matthew 6:33 ... As it is written in Psalm 37.4: "Delight yourself in the Lord, and He will satisfy the desires of your heart." Again the good and faithful Lord has used his life to fulfill His Word! May the Lord Jesus bless home to you, the beautiful, great and blessed family, and fill, more and more, the life of each of you 15 Love I Corinthians 13 and the Holy Spirit of God! Very happy with this blessing the Lord for you! Congratulations. This makes me so happy for you!! I can't wait to tell my daughter in the morning when she wakes up. I read your book first and then read it aloud to my 8 year old daughter. I pray that even a little of your passion would soak into her from reading those pages. Katie! Congratulations!!! I have been waiting for this blogpost ever since I saw the news pop up in my newsfeed! I am so so happy for you. You are such an inspirational woman, the way that you see Jesus in absolutely everything is so beautiful. I pray that the Lord will continue to bless you and your family. Thank you so much for sharing these big, wonderful parts of your life with us! Ireally look up to you Katie, and the life you are living has what I have always wanted. To be living in a third world country, serving Jesus and serving the people is exactly what I feel Jesus is calling me to do. I'm sixteen and super excited to see what God is going to do in my life! Your book and your blog inspire me so much! So thank you. P.S your dress... is absolutely stunning. You are SO BEAUTIFUL! Beautiful! May your marriage be a glorious example of Christ and the church, as it is already. May our Lord Jesus bless you abundantly as you walk in His love. Wow. Such a God we serve! Widowed for nearly nine years now, I have read your writing and prayed for you since I discovered it when I typed in 'Auntie Katie', looking for my own daughter Katie's blog. May your prayer be answered for your daughters even as He has blessed you in bringing you to be a helper suitable for your beloved husband. Guard well your time alone with Him! and with him. He gives us such incredible imagery in His word that helps us understand His love for us! He is so good. Congratulations, Katie!! Congratulations Katie! God is truly blessing you in every aspect. I read your book and can so relate in many ways. The only difference is I go to Haiti! May God continue to bless you in this new beginning of your life! Beautiful!!! May your marriage be a glorious picture of Christ and his church as it already is. May our Lord Jesus be glorified; and may your girls and many others learn more about God's character and His heart and love for them. May you both continue to be in that secret place with Jesus, alone and together. Thank you for sharing. 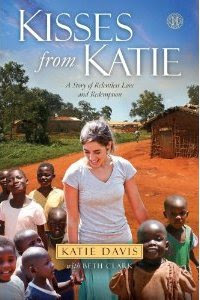 Blessings upon blessings...Katie... You shine pure radiant Joy... What a glorious story... The beauty of His amazing love for us!!!! Congratulations! Our family has been following your work, and we are constantly inspired by you and your faith. Best wishes on your new marriage! Congratulations, Mr. & Mrs. Majors! :) Thrilled that God has brought you together! Truly, He writes the best love stories :)So happy for the 2 of you! The look on your face as you gaze up at your new husband, while you walk hand and hand down the aisle,is positively radiant! Praying God's blessings on you, your husband, your children, your marriage, your life. Thank you for sharing your 'love story' and your photos. Made me tear up, so happy for your family!! Katie, I am so HAPPY FOR YOU!!! Wow! Your words on this blog were just beautiful. God bless you dear one and Benji, and your darling daughters. Hope I meet you one day. Oh Katie-- THANK YOU, for your words, your prayers, your delight in the Lord and your life through Christ!!! You have inspired, convicted and drawn me closer to our sweet Jesus in more ways than I can count. Thank you for following Jesus, and for sharing so honestly what that looks like for you. Been watching your story from a distance for a little while and SO happy for you! Rejoicing that the Father has been faithful to you in this wonderful way! Your story is SUCH an encouragement. Keep up the good work! So very precious. Thank you for sharing this... So precious. God is so very good... Like with Ruth, as if He hasn't done enough, He throws handfuls on purpose along the way... Such beautiful grace. Thank you so much for sharing this. Congrats and all God's blessings. Thank you so much for sharing this!!! So precious... so beautiful... Like with Ruth, as if God has not been so very good already, He drops handfuls on purpose. Glory! Congrats and God's Blessings... Richest blessings. So eloquently written, Katie...you most certainly have met your God chosen partner. I just love that only after it came to be, did you see God's affirmation in the next line of scripture. I am honored to be a contributing partner in your ministry and can't wait to see what the Lord will do through you and your family next. What a delight to read this! :) I am filled with happiness for both of you and for your big family. May the Lord continue to teach you all of His wonderful ways, and may all of your children be healed and whole in Jesus and a blessing to many, that many will learn of the Lord's great love. So beautiful, Katie. My husband and I married when I least expected it. I too was hesitant that an earthly relationship may take away from the relationship I had with the Father, but wow! How it fulfilled it and multiplied it instead! Thank you for posting. You're all in my prayers. Congratulations, Katie and Benji! From our family to yours, we pray for God's blessings on your new life together. We love following your story as you share your heart and your journey. My 12 year old daughter LOVED your book! She was so excited to find out you got married. I am so happy that she has such a God-honouring role model in you. I had the opportunity to share about you and your book with the students of the Christian School where I teach. They were greatly impacted by your testimony. You are making a difference around the world. Thank you for having a heart so in tune with our Heavenly Father. It speaks to my heart. Praising the Lord with all of you for God's goodness, love and blessing! Congratulations, and thank you for sharing your heart! You're absolutely stunning!! You're love for each other radiates from your countenance :-) God will surely greatly bless you both and will awe you with how mightily He'll move in two people so dedicated to Him. Congratulations!! Congratulations Katie!!!! We couldn't be happier for you both. No doubt God is showing you a whole new dimension of His perfect love. Your faith is such an inspiration! God has richly blessed you! Thank you for sharing your story. it is encouraging to see someone get married God's way in our culture when very few are. Congratulations. So happy for all of you. Praying for Gods continued blessings on you all. You look so happy! Congratulations! I am absolutely overwhelmingly thrilled for you! Oh how our Father loves you! So happy!! Congratulations! Beautiful and I couldn't be happier for you. Praying always for all your family and what you do. Congratulations Katie!! May God Bless you and Benji as you grow together in Him. May your girls continue to grow in Grace and the knowledge of Jesus Christ their Lord. May He meet all your needs. And may He someday let me come and minister with you and your husband as a Grandma figure to your children. Congratulations Sweet Girl! And may God's blessings pour over you, your husband and your daughters. I'm so happy that God sets the lonely in families! God bless you and your husband! Congratulations Katie! Marriage is such a beautiful blessing and what a joy to begin your new journey. God is so faithful and loving. I wish you all the best in your marriage. What a beautiful example of God's extravagant love poured out! Congratulations and may your marriage ever be a picture of Christ and His bride, the Church...as your ministry is enhanced with this godly man at your side. Oh my goodness! Chills! Tears! Congrats!!!! I am so happy for all of you!! 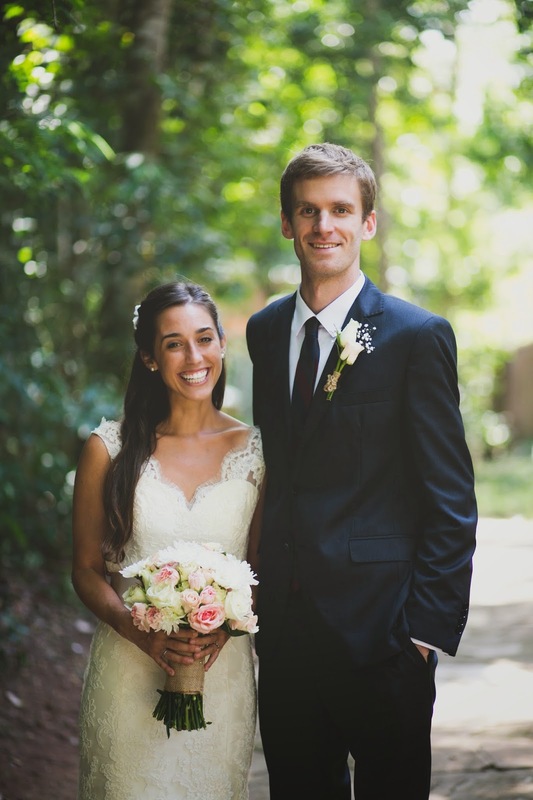 Congratulations, Katie and Benji! This is so beautifully written. I am so so incredibly happy for you. What a great gift your words and your story have been to me over the years. Praying you enjoy this new gift of marriage. What joy! I am happy for y'all. So happy for you and your girls. You were a beautiful bride, y'all look good together! What a beautiful love story, God's love story for all of us illustrated by you. Congratulations! I'm so happy for you. We are rejoicing with you in God's greatness and how gracious He is! What a delight to hear of this new chapter He has given you both. A few years ago we met a Hephzibah and she loved to share the meaning of her name. Our prayers for you are expanded to include Benji. We pray for His richest blessings in your lives as you continue to serve the only One worthy of honor and glory and blessing. Simply, wonderful. Rejoicing with you. Thank you for reminding me how holy marriage truly is. Richest blessings on your new family that He has been writing in His perfect timing and loving will. Congratulations Katie!!! What a beautiful testimony of God's goodness, faithfulness and care for us! What a beautiful picture of God, our father, who delights in giving good gifts to His children. May God continue to grow you both. And through your marriage may people see a picture of the gospel displayed. Congratulations! Congratulations!! Thank you for sharing. Very thankful for God giving you the gift of marriage. I especially loved reading your testimony about God bringing your gaze down to Isaiah 62 and speaking His truth to you in that. Really beautiful and encouraging. Beautiful! God is so very good!! This is so beautiful and the picture of a holy and christ-centered pairing.you are so inspiring Congratulations and blessings on your new adventure! Amazing post, Katie! May God richly bless you, Benji and your girls now and forever! Maybe I'll run onto you in Uganda one day! Oh! Congratulations on your marriage! I would love to say something profound and encouraging, but words simply aren't working for me right now... I will say that this has been the secret prayer of my heart for you for a long, long time. :-) May God bless you abundantly as you enter this new season, you, your girls, and your husband! Congratulations, Katie! I started crying reading your words in this post out of pure joy for and alongside you. I have admired you and your faith for a few years now (ever since reading your book) and this just feels like the "cherry on top" for you and your girls in Uganda. Praying for your growing family, this new adventure, and with you that you all would experience our Father's love even more intimately in this season. 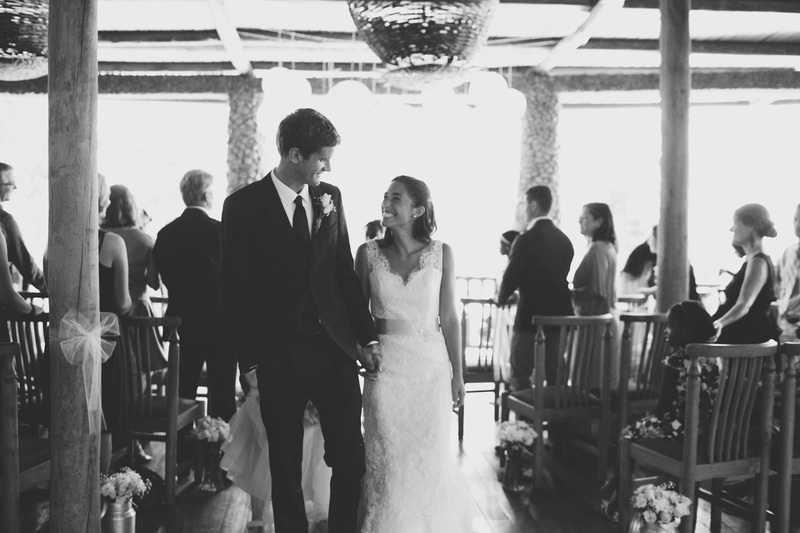 I saw this and squealed and called to my mom, "Katie Davis is married!" At first she said, "Katie who?" and then she remembered. We smiled and cheered for you this morning. So glad for you and your family! You don't know me, but I have been praying for you and your daughters since I read your book in 2012. Your story is an encouragement to me as a single young woman seeking to serve my Lord and Father. oh Katie, I have been watching and praying for you and your girls for years. Thank God for this wonderful gift!!! I used to wonder about you carrying so much on your tiny frame and marveled at your faith. god is so good. I am so grateful and so touched by your joy. God can do even greater things in a team of two so how exciting!!!! Congratulations! I am so happy for you both!I declare Grace upon grace, favor upon favor, Blessing upon blessing and Gift heaped upon gift for your family. This is beautiful! Thank you, Katie, for letting your life of LOVE become an example worth following!